If you have ever had a cavity, you know that dental decay is no laughing matter. A cavity can seriously compromise your tooth. It can also lead to significant discomfort and reduced dental function. Whether you have recently been diagnosed with a cavity, or you are simply looking to prevent future damage, you may have a number of questions regarding your oral health. Fortunately, we are always here to answer your questions and provide timely treatment for your dental needs. Most importantly, through routine dental care, we want to prevent future decay. Ultimately, oral bacteria are responsible for cavities. Our mouths contain many different types of bacteria, and some of them are actually beneficial. However, other types of bacteria will interact with sugar and starch to create acid. The acid will corrupt your dental enamel and begin eating away at the underlying structure of your tooth. As the acid erodes more of your tooth, a cavity will form, and bacteria will enter into the dental structure. What Happens If I Don’t Treat My Dental Decay? It is important to seek immediate treatment for a cavity. First, if you delay treatment, you could experience significant discomfort. The decay could also completely damage your tooth, and you may eventually require a root canal or even an extraction. Additionally, the decay could spread to your other teeth. The bacteria could also move to your gum tissue, leading to periodontal disease. Is a Filling Always the Best Treatment for a Cavity? A filling is typically the optimal treatment for a small to moderately sized cavity. However, if you have a larger cavity, you may benefit from a different treatment. An inlay or onlay will fit over the top portion of your molar, covering a large area of decay. Inlays sit in between the cusps, and onlays reach partway down the sides of your tooth. 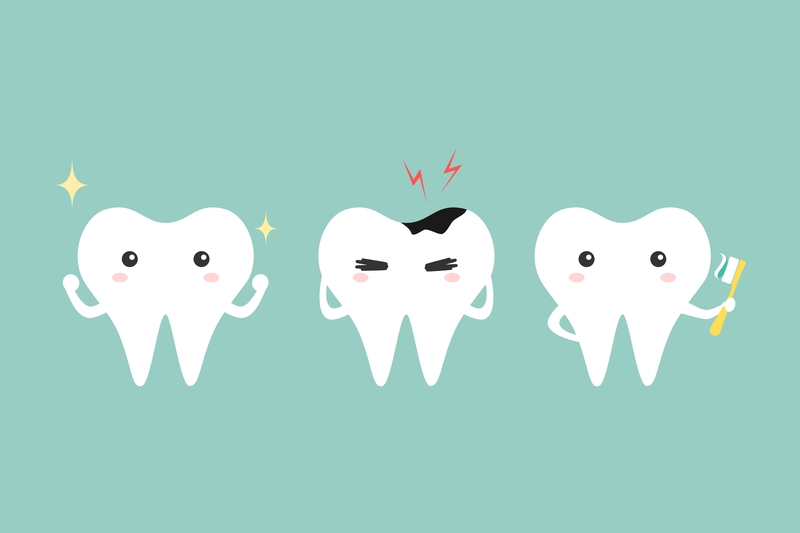 If you have a very large cavity that has severely weakened your tooth, your dentist may recommend a crown. However, you can rest assured that we will always recommend the most conservative treatment possible. Unfortunately, dental decay often goes undetected until patients begin to experience the symptoms of a cavity. By this point, it may too late for a simple filling. The best way to detect cavities in the early stages is to schedule your routine dental checkups. At these appointments, we will also thoroughly clean your teeth, which will often prevent cavities from forming in the first place.